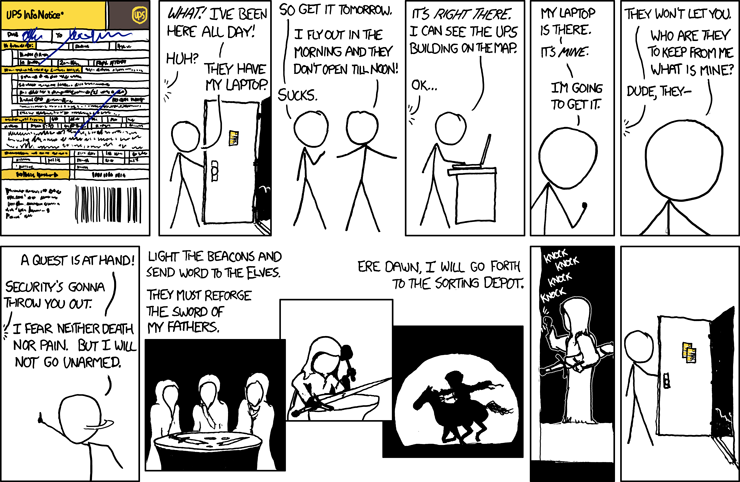 Because it is so true, I must share today's xkcd webcomic. I can't tell you how many times I've been home all day and missed a delivery or service call. And for those not familiar with this brilliant webcomic, there is always an extra treat if you hover your mouse over it (although I don't know if that is only on the xkcd site).